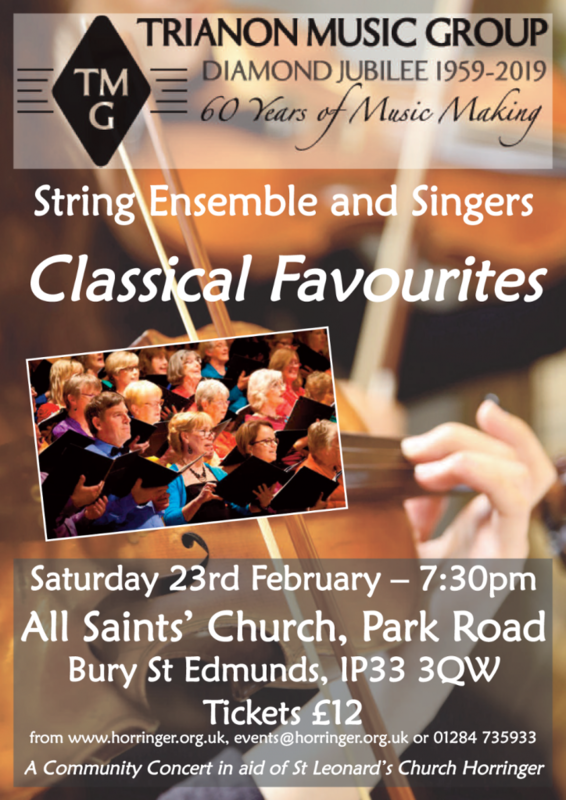 As part of the Fundraising efforts for improvements to Church facilities, there will two concerts in the New Year. 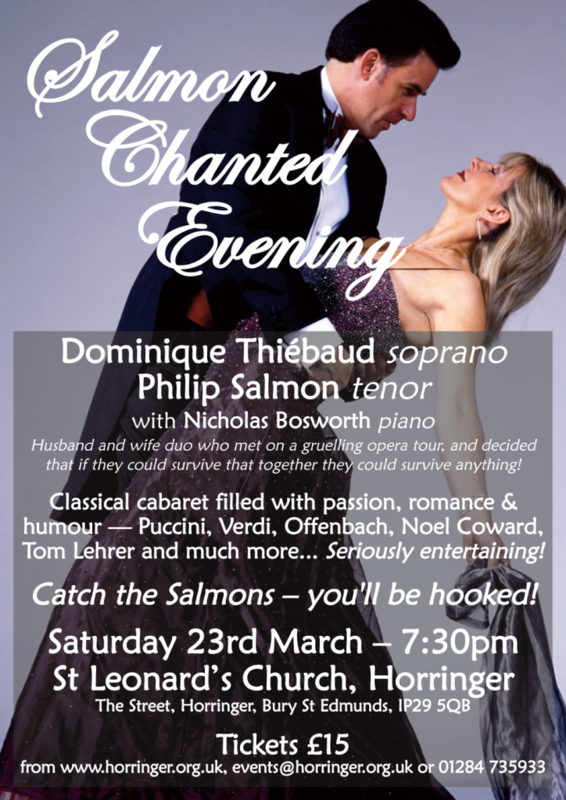 On Saturday 23rd February, the Trianon Music Group from Ipswich present a Community Concert of Classical Favourites in All Saints’ Church, West Road, Bury St Edmunds, and on Saturday 23rd March, Salmon Chanted Evening will see husband and wife duo, Dominique Thiébaud soprano and Philip Salmon tenor, in a Classical Cabaret. Click on the posters below for more information and to buy tickets.